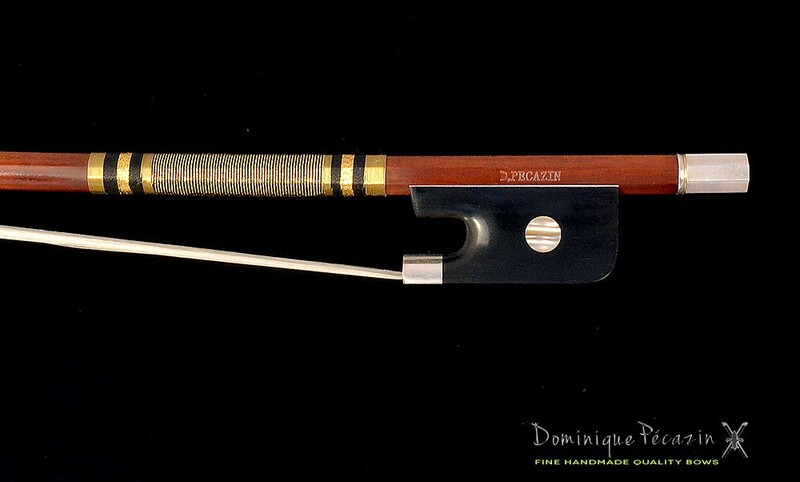 A fine silver mounted Dominique Pécazin cello bow - with golden silk/wire. 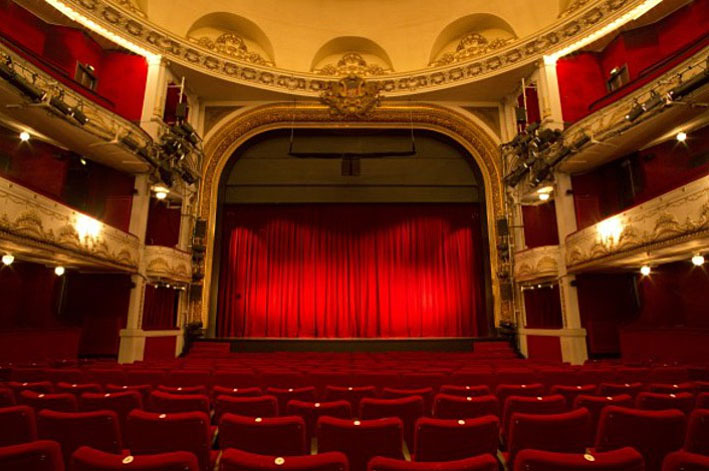 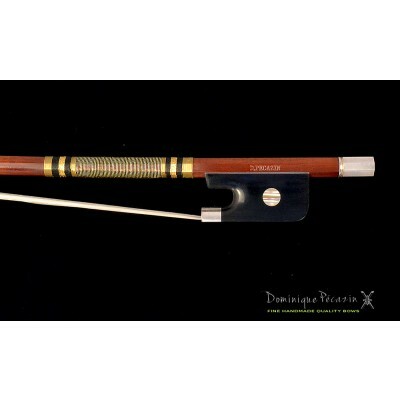 Each single Pécazin bow is handmade and is made of high quality selected pernambuco wood. 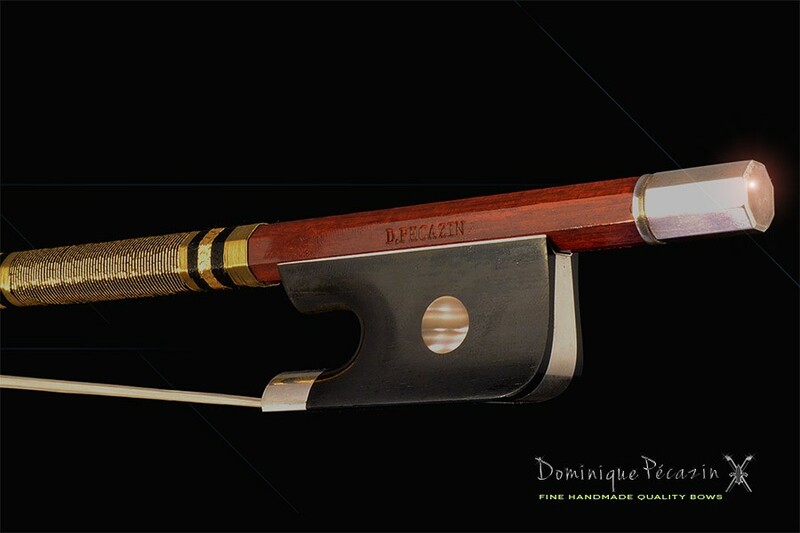 Dominique Pécazin bows are inspired from the great French bows masters of the past and they offer a serious alternative to the very expensive old French master bows. 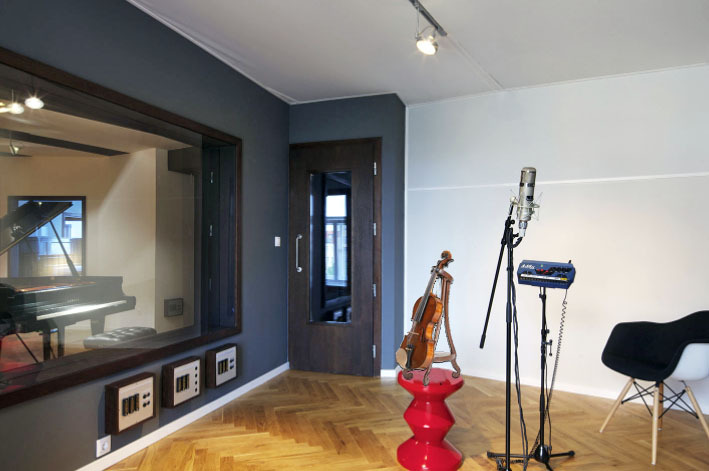 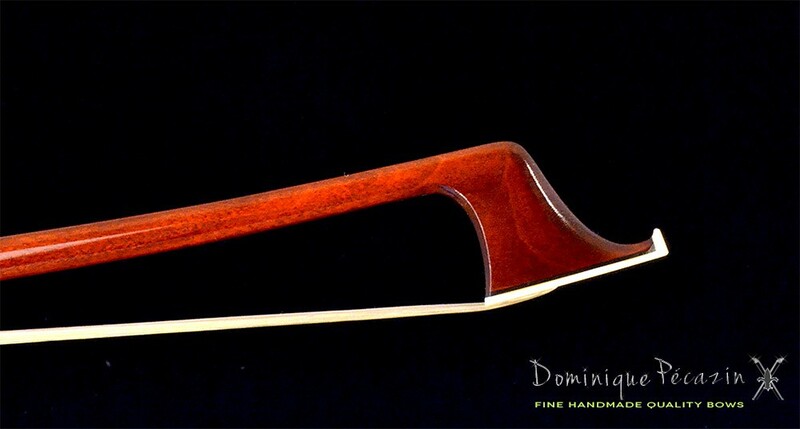 This a is cello bow with a superbe playability. 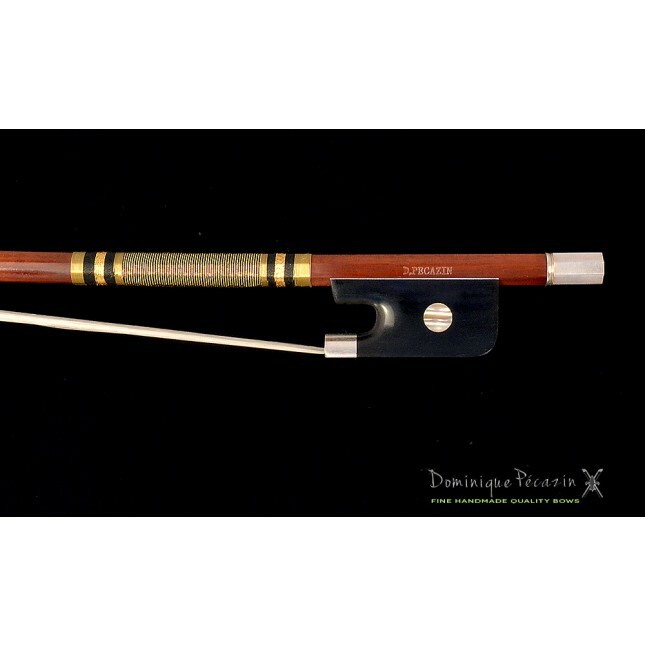 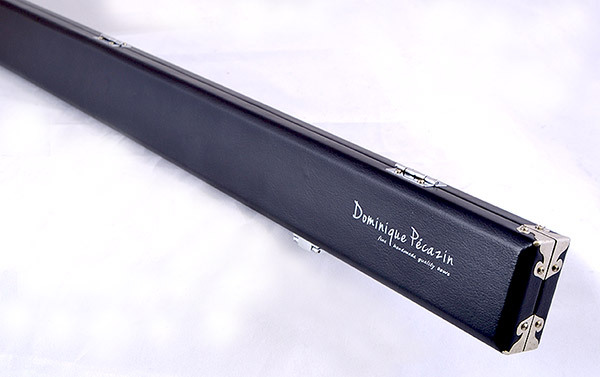 Dominique Pécazin cello bows are recommended by many cello teachers and professional players.